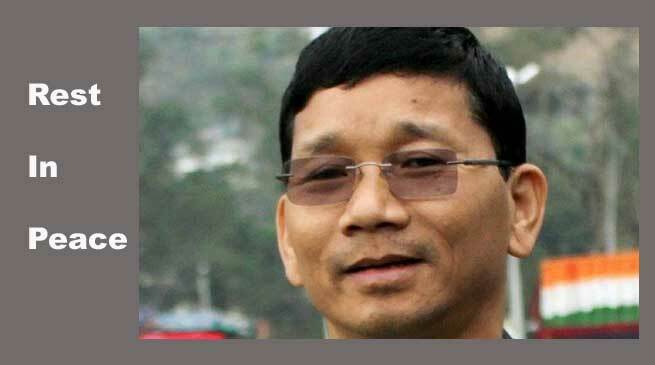 It is, indeed, shocking and unbelievable, when the news of sudden demise of former CM, Sri Kalikho Pul, was flashed and heard. Indeed, we have lost one of the rare sons of the soil. His contributions as a person, leader and minister were immense and will always be cherished. He was a fighter in true sense. In a short stint as the Chief Minister of the state, he had won the hearts of the people, sick and sound, man and woman, young and old irrespect of caste, creed and colour. His vision, his attitude, his zeal, his actions and above all his humane instinct were all applaud and this, surely, has left indelible mark in the hearts of masses. His soul may have gone but he will always remain, in the heart of both his friends and foes. In this hour of great sorrow and grief, we, the Tai Khampti Singpho Council stand behind the entire family members of this great soul, his friends, colleagues and well wishers. On behalf of our people and the entire NGOs of Tai Khampti and Singpho, we extend our heartfelt condolences to the bereaved family and pray Almighty Lord Buddha, Dhamma and Sangha and wish that the departed soul rest in peace in heavenly abode.